Not much will get me moving from the comfort of my lawn chair on a hot summer afternoon like a butterfly flying by. I hop up so fast to go investigate I remind myself of the dog in the movie "Up" and his fascination with squirrels. 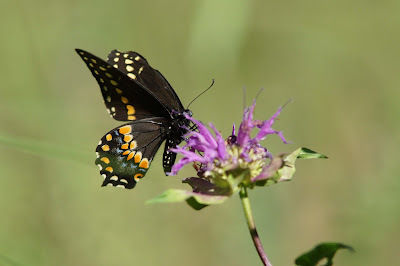 I took a bigger interest in butterflies last year and am always on the look out for a new species in our backyard or when we are out birding in the summer. We had company for a BBQ on Saturday and I was treated to my first viewing of a Black Swallowtail in our yard. Rob had seen them before, but this was my first time seeing one in our yard, so I was pretty excited about it. Thanks to Dave for snapping a few pics for me! 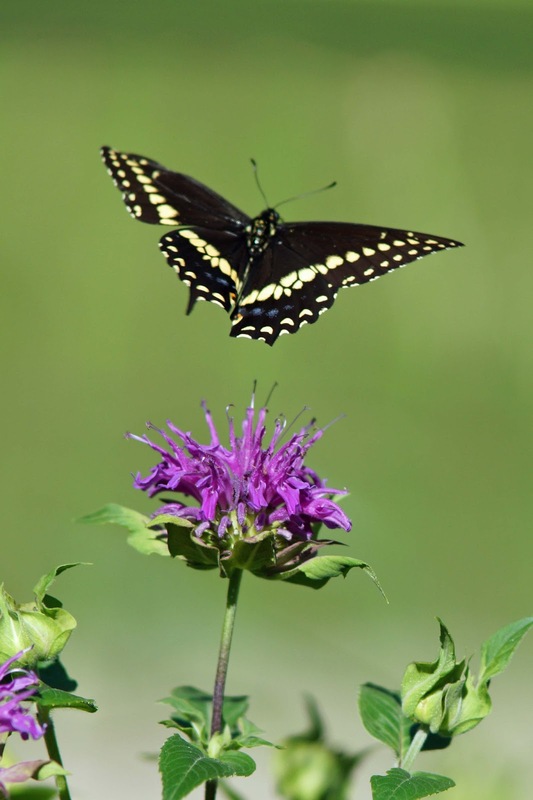 Black Swallowtail enjoying the "Bee Balm" Plant. The four of us enjoyed a lovely summer afternoon in our backyard enjoying the birds, butterflies and the critters. Rob showed off his BBQ skills to go along with the salads I had prepared, and Andi made a traditional "down home" Strawberry Shortcake" for dessert. 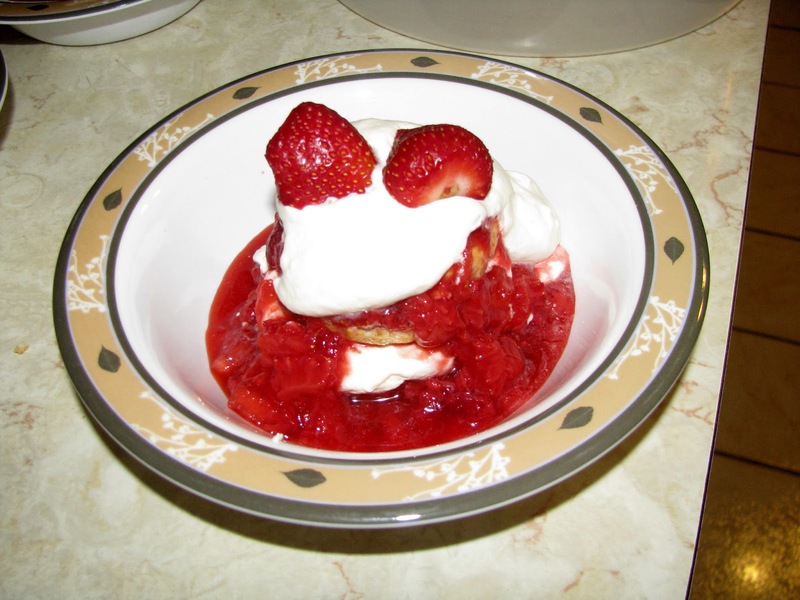 A traditional Maritime Strawberry Shortcake, divine! It was another lovely day spent in our favorite place, the backyard.